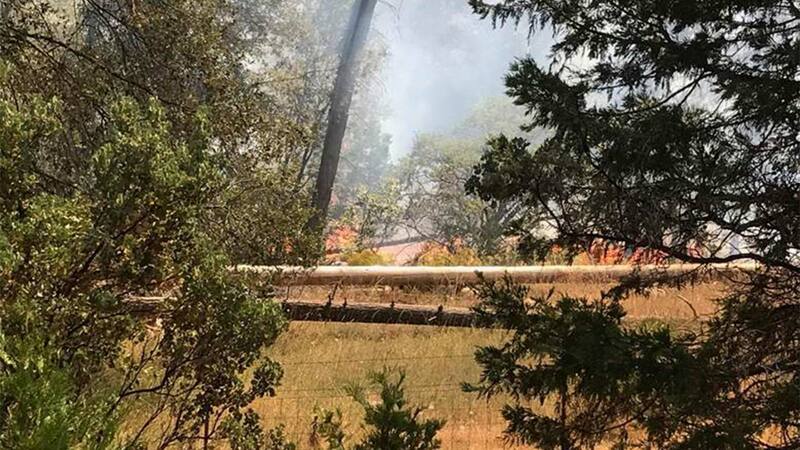 MARIPOSA COUNTY (KFSN) -- UPDATE: Evacuation orders have been lifted for homes on East Westfall from Triangle to Smithers including homes on Smithers, according to the Mariposa County Sheriff's Office Facebook page. East Westfall is still closed from Smithers to Conifer Rd. The Mariposa County Sheriff's Office has issued evacuation orders due to a three acre fire. The areas affected by the orders are East Westfall Road from Triangle Road to Conifer Road, Old Mill Road, and Smithers. Firefighters were called out to the fire near East Westfall and Oliver Creek with reports of power lines down in the area. A Red Cross Evacuation Center is located at New Life Christian 5089 Cole Road.